Al Ahli Bank of Kuwait (ABK) today announced the conclusion of the 6th annual football tournament, which was held at ‘The Corner’ Soccer Field in Kuwait City, next to Kuwait Towers. The exciting day-long event took place on 7th November 2017. A total of 8 Academies for children between the ages of 9 and 10 years old participated in the tournament: Kuwait Brazouka, Al-Jahra Stars, Barcelona, Messi, Al-Azory, Al-Ahli, The Pharaohs and Galasso. The ABK football tournament is part of ABK’s annual Social Responsibility Program which aims to engage with the public by encouraging sport and a healthy lifestyle. The tournament, which was launched in 2011 has grown substantially in popularity year on year and attracts a wide range of teams and supporters. 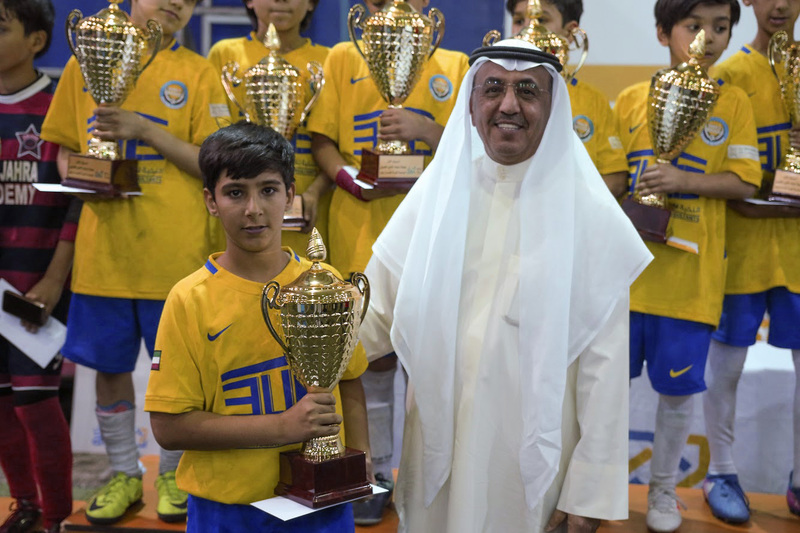 Hady Ahmed, the team player of the Pharaohs Academy received the “Best Player Prize”. Saleh Mousa, the team player of Al-Ahli Academy received the Tournament Top Scorer’s prize. The best Goal Keeper Prize was taken by Basel Al-Rashidi, from Al-Jahra Stars Academy.